From the 30th May to the 1st June 2014, Coventry city centre was taken over by cars and motorbikes for the first Coventry Motofest. Coventry is the spiritual home of the British motor industry, with an automotive design pedigree and engineering history to rival any other city in the world and I am proud to live here. 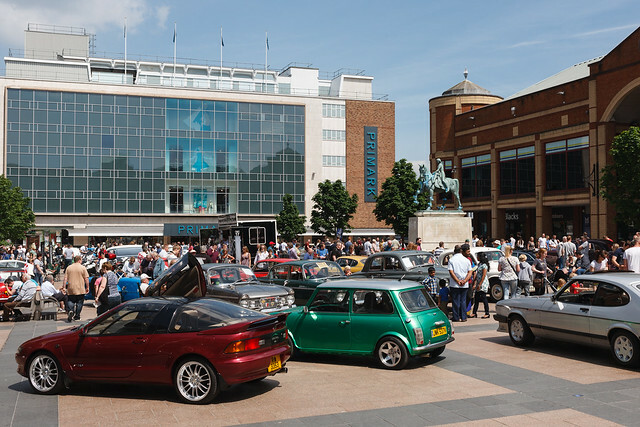 It is the unique motoring heritage that is celebrated through MotoFest – a free motoring extravaganza which for one weekend each year, turning Coventry city centre into the UK’s most exciting display of great cars from the past, present and future. 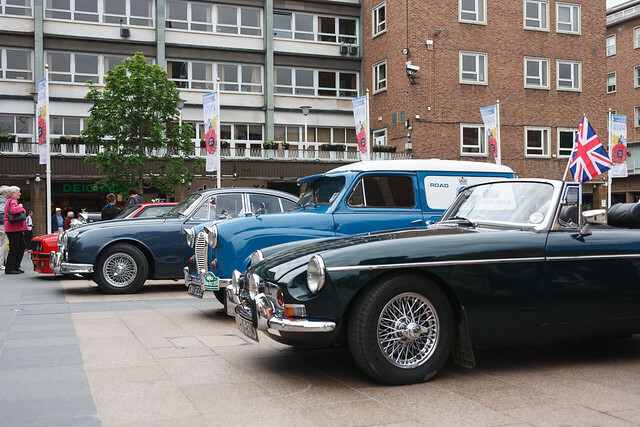 The focal point of the event was the display of classic cars on Broadgate, the cars on display ranged from the more common classics; Minis, Triumphs and E-Types through to 1930’s Bentleys and Bugattis. Alongside the classic cars there, were motorbikes from Triumph and Francis Barnett as well as the new Lightning GT – an electric supercar being built here in Coventry. The degree show for the Coventry University Automotive and Transport Design course was part of Motofest and was a good opportunity to see the work of the car designers of the future. In addition to the static displays an oval racing circuit had been set up in the Cox Street car park, under the ring road for stunt displays and stock car demonstrations. 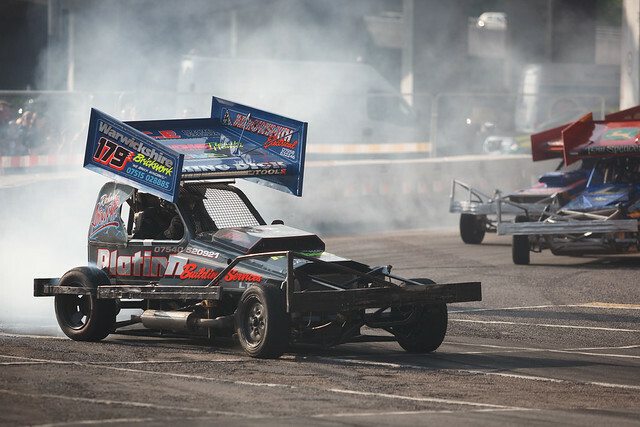 The stock cars sounded incredible, with the V8 noise ricocheting from all the concrete supporting the ring road and it was only when I got back home that I realised my face was covered in black dust from all the tyre smoke. Sunday saw even more cars on display on Broadgate, but also the anti clockwise lanes of the ring road turned into a racetrack for cars to do demonstration runs (hopefully there will be some timed competition next year), cars running on the ring road ranged from historic competition cars, such as Mini, Talbot Sunbeam and Skoda rally cars, to Time Attack cars and performance road cars from Jaguar, all lead around by the “Dreadnought” pace car. 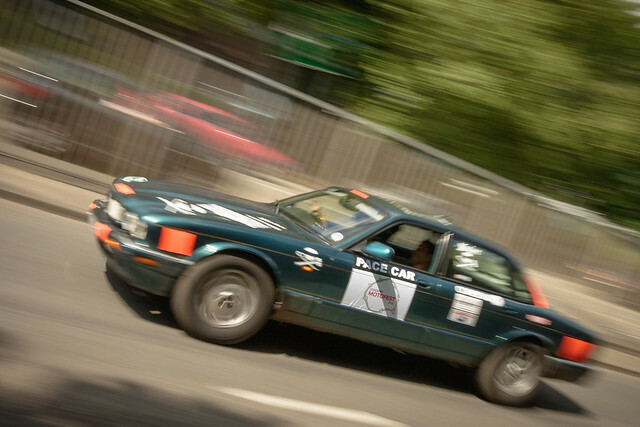 This entry was posted in Cars and tagged Coventry, Motofest, Photo by Lewis. Bookmark the permalink.